ARE YOU SELLING YOUR BUSINESS BUT DON'T KNOW HOW TO ACHIEVE THE BEST PRICE? So you have found a potential buyer for your business, but do you know how to sell your company? Do you know what is involved in a Trade Sale? How to deal with the lawyers and minimise your legal costs? How to resolve issues with difficult shareholders? Like selling a house, selling a business through a trade sale follows an established legal process and often the legal process has an impact upon the price finally paid. However, whereas a house is land, bricks and mortar than can be surveyed and searched to establish any negative issues and to confirm value, much of the value of a business is based upon goodwill, product designs, market presence and other fairly nebulous factors that cannot readily be valued. 1. You have to run the business whilst the sales process goes through, any interruption or fall off in performance could well result in a reduction in the sales price, or even for the buyer to withdraw! 2. You must be prepared for the legal process to occupy most of your time for 1 to 2 months and all of your time for a further 1 to 3 months. 3. Selling your Company is often the culmination of a life's work, and can result in the owner and other shareholders becoming wealthy. But a buyer can withdraw at any time if they don't like what they see after further inspection. They can also withdraw for other, external, reasons. How do you deal with this? 4. Selling a Company requires shareholders to make legally binding promises. Some shareholders may not wish to give them or even to refuse to do so. Also any negative issues with shareholders, suppliers, customers or other connected parties tend to "crawl out of the woodwork" when there is a chance of making money. Some shareholders will even threaten to kill the deal unless they get their way. 5. Lawyers do not explain the process in detail in advance. Of course, they will spend as long as you like once retained by you, at up to £300 per hour! 6. Most shareholders only get one shot at selling a business, how do you know if you have got it right? * A presentation on selling a business, what is involved and how to optimise it. * Mentoring and assisting the sellers through any, or all of the sales process. * Recruiting a legal firm and negotiating a price. * Helping to prepare, or preparing the due diligence. 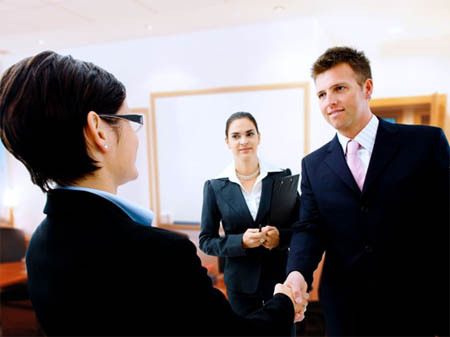 * Helping to negotiate, or negotiating the Sales and Purchase Agreement alongside the lawyers. * Helping to prepare, or preparing the Disclosure Letter. * Resolving conflicts amongst shareholders or other parties. Acumen Pro's Chairman, Kevin O'Donovan, has sold 4 of his own businesses and been involved in 2 more that did not go through to completion. He has also bought 2 companies so he has considerable experience of both sides of the process. Contact AcumenPro now to see how we can help you.